Should You Keep an Inventory in Your MLM Business? Today, I want to educate you about keeping an inventory in your network marketing business and share some of my best inventory management tips. Depending on your business model (network marketing vs. direct sales) and your company, you will need to make a decision about keeping an inventory. I should start out be telling you that I am NOT a fan of keeping an inventory in your MLM business. One of the reasons you see so many MLM products for sale on Amazon and eBay is because reps get stuck with a bunch of inventory they can’t sell! I’ve heard TONS of horror stories from distributors who had a garage full of products that sat around collecting dust because they couldn’t find anyone who wanted to buy the products. That’s the last thing I want to happen to you. For most reps, there is no need to keep an inventory. The whole purpose of doing network marketing is to let the parent company take care of that for you, along with fulfillment, order processing and customer service. While they handle that, you simply focus on referring people to the company. You do the marketing, advertising and customer acquisition and the company takes care of the rest. That’s the beauty of our industry. That being said, I do believe every distributor should keep a small amount of products on hand. This would include anything you might use for samples, for an in home party, or for products that you retail frequently. For most people this would be no more than 3-5 different products in small quantities. I’m talking about no more than $200 worth of product, and that’s only if you are ACTIVELY building your business. If you do decide to keep an inventory, be smart about it, and keep it simple, small and practical. Start out small and only expand your inventory if you have a steady demand for it. The major benefits of having an inventory are that you have products on hand that you can sell (and deliver) immediately. Sometimes customers, or new distributors, don’t want to wait to get their products in the mail. In other situations, you might makes sales to people who are buying on impulse. In both cases, being able to fulfill the order right away is paramount. The major drawbacks of keeping an inventory are the cost and space. The last thing you want to do is tie up a bunch of your money on products that you’re not sure if you can even sell. In addition, an inventory takes up space; something most people don’t have an excess amount of. Another thing to consider is how you build your business. If you are doing your business more as a direct sales business, then it definitely helps to have a small inventory on hand. For example, reps using the party plan would probably want a small inventory of their best-selling products. In addition, reps setting up at events, and focusing exclusively on the retailing side of the business, might also want to maintain an inventory. Companies such as Arbonne, Avon and Mary Kay focus more on retailing, so it just makes sense to keep a small inventory if you are a rep in one of these companies. On the other hand, most traditional network marketing companies discourage it. They want you to keep your expenses to a minimum while they handle the inventory and fulfillment for you. At the end of the day this is a personal decision. If you are set on keeping an inventory, I would encourage you to start really, really small. Don’t go out and buy several thousand dollars worth of products if you are unsure you can even sell them. Instead, start out with $100 worth of products and see what type of demand you have for them. If you can find a way to continuously make sales, then by all means build up an inventory. If not, let the company handle it for you and just focus on finding customers. The bottom line is to be a good steward of your own money. Never let ANYONE talk you into buying a large amount of inventory, especially if you are new to the business or industry. I always wondered how some distributors are able to sell their company’s products on Amazon. Selling your company’s products is a violation of most company’s policies and procedures. Most of these distributors are using the company’s name as the ID on Amazon, as well. Also a violation. I called several of the companies that have sellers on Amazon and their explanation was that those are products that are being sold due to credit card fraud or stolen credit cards. That seemed like a pretty weak explanation! It would seem more likely that you’re right and there is a distributor who got caught with products when they quit. Thanks for the plausible explanation! Most companies have tons of their products for sale on eBay and Amazon. In most cases, they are sold for an amount that is LESS than the distributor’s cost. This makes it really hard for any other distributor in the company to find new reps or customers when their prospects can buy it cheaper online. I doubt that it’s only distributors selling these products online. Many are former distributors or friends of distributors helping liquidate the products. I also don’t see why any MLM company would want to stop it. It’s really a win-win for the company. After all, the products have to be purchased from them first, so they still get paid. Plus, they get the free publicity and marketing from these big websites. This gives them added exposure. The only person that gets screwed over is the distributor, which happens to be the most important person in the company. I tell everyone to look at how many products from their “potential new company” are for sale on these websites before they join. It could be a good example of people being frontloaded with products they can’t sell. I’m not saying that a company is bad if they have products for sale on eBay or Amazon, but if there are TONS of their products for sale, it might be a good “warning sign” to front loading. Just my two cents. It is sad that an MLM company would think of it as a win win, which it is for the time being, but are they really winning when they lose distributors? While it just isn’t something that a MLM company will be able to completely stop, they should make rules to slow down the selling of their products at these on line outlets. You made a good point of checking these websites before joining a company, because you can get a great idea if front loading is an issue. An inventory is fine, if you have an existing customer base and you know you can sell the products quickly. This is great advice Chuck! 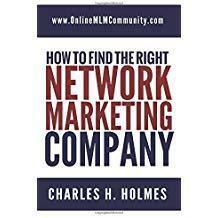 It of course depends on the type of network marketing business you are involved in. Some products have a short shelf life, and if you are sitting with them a certain amount of time, they can go bad. I do believe that like you said, when you have certain products that sell well, it is wise to have 3 to 5 of them on hand. Some people are impulse buyers and when you have the product available immediately they will purchase it, but if they have to wait for a mail delivery, they may not. It all just comes down to using good sense. Don’t overload your garage with products you are not sure you can sell. Exactly. Use common sense and you will be fine.